Located in the South-West extreme of Europe, famous for its unique coastal landscapes and white sandy beaches, the Algarve was the last region of Portugal to be conquered from the Moors in the mid-12th century. The region is not only famous for its beaches, sun and sea; it also holds a very long historical and cultural heritage of which remain old bridges, castles and city walls. 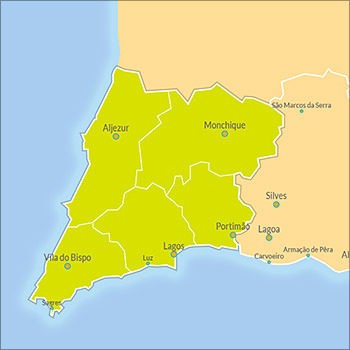 After the Moorish conquest, the Algarve "Al-Gharb" became the Kingdom of the Algarve and annexed to the Kingdom of Portugal after that. Nevertheless, influences and signs of Moorish presence are still visible throughout the region. 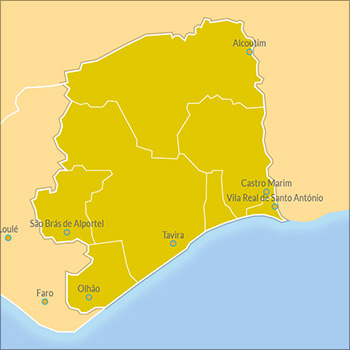 In fact, both Algarve and Alentejo (the greater region to the North of the Algarve) were of Muslim origin, the whole region was known before as "Gharb Al-Andalus", it means The West of Al-Andalus because this was the western part of the Muslim Andalusia, and one of the most important Muslim centers. 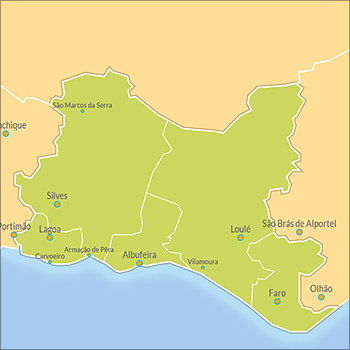 Nowadays the region corresponds to approximately 6% of the area of the country, and its population is concentrated on the southern coast, and in major cities such as Faro, Lagos, Portimão, Olhão, Tavira and Vila Real de Santo António. Due to the proximity with the North of Africa, the Algarve region has a warm and mild climate throughout the year. It's home to unique natural reserves, parks and beautiful coastal areas and a lovely countryside worthy of exploring by anyone looking for an adventure. In the Algarve, you can still visit one of the 7 Natural Wonders of Portugal: the Ria Formosa - one of three protected areas where you can experience great nature tourism activities and tours.